Dr. Tim R. Love, M.D., one of the top plastic surgeons in Oklahoma City, offers cosmetic surgery options to fit your needs. Dr. Love offers both the surgical and non-surgical solutions Oklahoma City plastic surgery patients are seeking to combat the signs of aging. 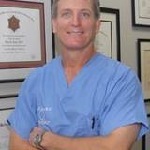 While there are many plastic surgeons in OKC, put your trust in the best—Dr. Tim Love. With more than thirty years of experience in plastic and cosmetic surgery, Oklahoma City residents can put their trust in Dr. Love. Consulting with OKC plastic surgeon Dr. Love allows a patient to learn about all the available cosmetic surgery options available to them and choose the approach that best fits their individual needs.